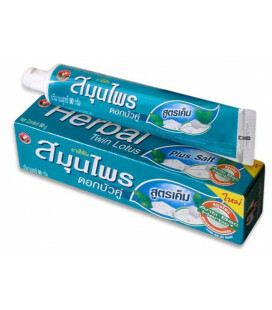 Thai natural toothpaste consists of components that provide cleansing, disinfecting, refreshing effects on teeth and on the oral cavity. Components of toothpaste from Thailand are designed to deal with various problems of the oral cavity, for example, tooth decay, bleeding gums, unpleasant odor from the mouth. The composition of Thai natural toothpaste includes various essential oils, carnations, rosemary, eucalyptus, peppermint, lavender, lemon, bergamot. Also organic extracts of medicinal plants, sea salt, propolis, fruit extracts, bamboo charcoal, etc. 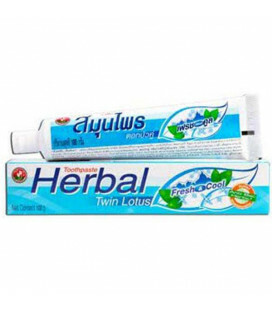 You can buy Thai natural toothpaste at very affordable prices, and a wide range of such toothpaste allows you to easily find the right one for your individual needs. 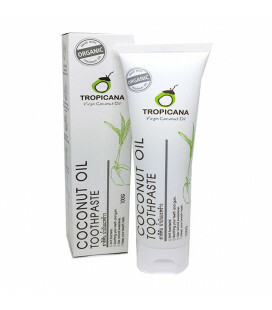 This toothpaste is made from organic coconut oil of cold pressing. This toothpaste does not contain any fluoride. Nevertheless, this toothpaste is well refreshed and disinfects the oral cavity, preventing the reproduction of bacteria and the deposition of tartar on the teeth. Clears teeth from dark spots caused by frequent use of coffee and strong tea. 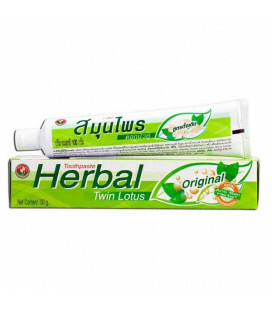 The toothpaste of the Lotus Lotus Dok Bua Ku Sensitive is ideal for sensitive teeth and is an effective tool for the prevention and treatment of gum disease, since it has antibacterial properties. 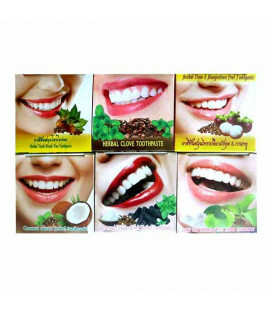 Thai Whitening Toothpaste in a set of 12 pieces of 25 grams with different flavors. Mangosteen, Bamboo charcoal, coconut, guava, Cloves, Mint. In set 2 pieces every taste. Twin Lotus Antibacterial toothbrush made of bamboo charcoal is a high-tech modern product designed to provide you with maximum efficiency and comfort. Black brush for white teeth! 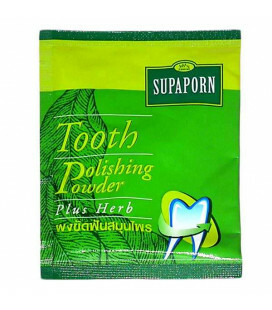 Supaporn whitening dental powder contains Thai herbs. It cares gently your teeth and gums. It has a significant whitening effect. 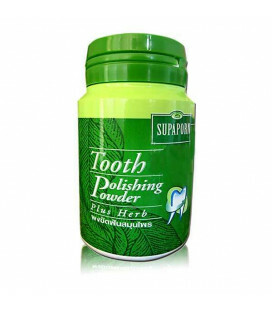 Supaporn whitening tooth powder with the Thai herbs cares excellently of your teeth and gums and has a whitening effect. Natural herbs and purified salt help clean your teeth and gum, eliminates bad breath, and safelydecreases cigarettes, tea, and coffee stains, as well as keeps your breath fresh and clean all day long. Toothpaste with clove, peppermint and different fruit extracts.